It is summer time and I am all about no bake desserts!! 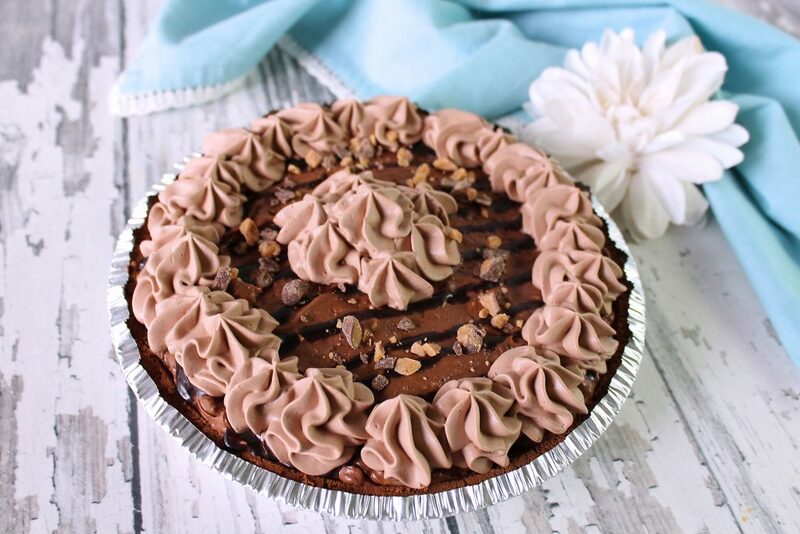 I also have a small love affair with anything chocolate , and this Whipped Chocolate Candy Crunch Pie is enough to get you “Chocolate wasted”, LOL. If you have never had or made chocolate whipped cream you don’t know what you are missing . It is simply scrumptious and should be on the top of any chocolate lovers must haves. It can be used as a topping , dip or just lick it off a spoon. It is not only incorporated into the light and fluffy pie , this pie is topped off with it.